Forestry Commission woodland, the southern part of which consists almost entirely of beeches. 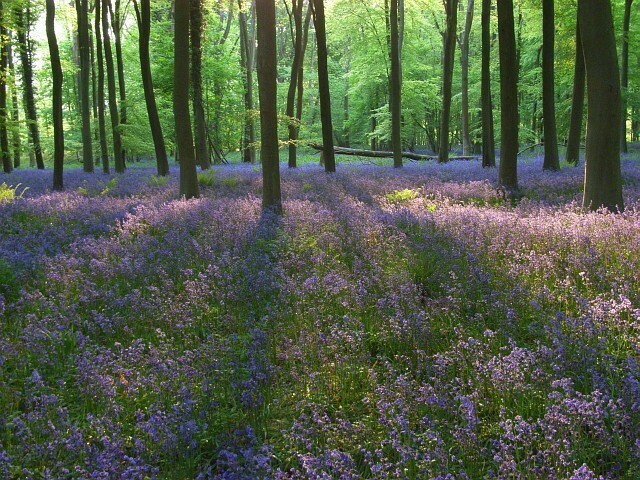 Bluebells form a more or less continuous carpet across the floor of that part of the wood. The proximity of the M3 means it isn't particularly peaceful. This page has been viewed about 458 times.